Every computer you've ever encountered works on the principles of a Turing machine: they manipulate little particles of information, called bits, that exist as either a 0 or a 1, a system known as binary. The fundamental difference in a quantum computer is that it's not limited to those two options. Their "quantum bits," or qubits, can exist as 0, 1, or a superposition of 0 and 1—that is, both 0 and 1 and all points in between. It's only once you measure them that they "decide" on a value. That's what's so groundbreaking about quantum computing: Conventional computers can only work on one computation at a time; the fastest just have ways of making multiple components work on separate tasks simultaneously. But the magic of superposition gives quantum computers the ability to work on a million computations at once. With that kind of power, just imagine what humanity could accomplish! But that's not all that makes quantum computing so impressive—there's also the phenomenon of entanglement. Qubits don't exist in a vacuum. Generally, systems of multiple qubits are entangled, so that they each take on the properties of the others. Take an entangled system of two qubits, for example. Once you measure one qubit, it "chooses" one value. But because of its relationship, or correlation, to the other qubit, that value instantly tells you the value of the other qubit—you don't even need to measure it. When you add more qubits to the system, those correlations get more complicated. According to Plus magazine, "As you increase the number of qubits, the number of those correlations grows exponentially: for n qubits there are 2<sup>n</sup> correlations. This number quickly explodes: to describe a system of 300 qubits you'd already need more numbers than there are atoms in the visible Universe." But that's just the point—because those numbers are beyond what we could ever record with a conventional computer, the hope is that quantum computers could crunch unfathomably large amounts of information that conventional computers could never dream about. In the future, quantum computers could revolutionize everything from human genomics to artificial intelligence—and over just a few decades, the technology has already gotten to the point where that's a very real possibility. In 1998, researchers successfully analyzed information from a single qubit, and in 2000, scientists at Los Alamos National Laboratory unveiled the first 7-qubit quantum computer. 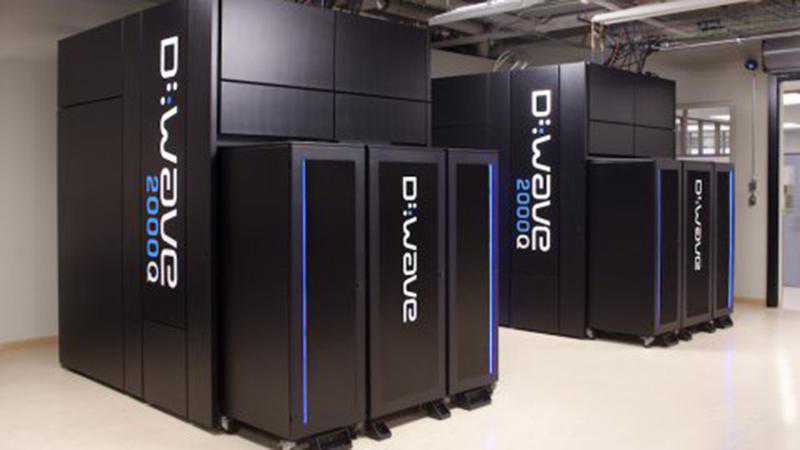 Less than two decades later, and D-Wave's 1,000-qubit quantum computers are being used by the likes of Google, NASA, and Lockheed Martin, and a 2,000-qubit quantum computer is being unveiled. Feel like replacing your old laptop? That quantum computer will run you a cool $15 million—a small price to pay for a millionfold improvement.